Carbon monoxide (CO) is a colorless, odorless, and tasteless gas. It is produced when a carbon-based fuel-such as gasoline, propane, charcoal, or oil-burns. 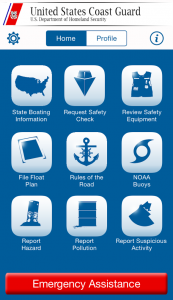 Sources on your boat may include engines, gas generators, cooking ranges, and space and water heaters. Carbon monoxide (CO) enters your bloodstream through the lungs, blocking the oxygen your body needs. Prolonged exposure to low concentrations or very quick exposure to high concentrations can kill you. Altitude, certain health-related problems, and age will increase the effects of CO. Persons who smoke or are exposed to high concentrations of cigarette smoke, consume alcohol, or have lung disorders or heart problems are particularly susceptible to an increase in the effects from CO. However, anyone can be affected. Another factor to consider is that physical exertion accelerates the rate at which the blood absorbs CO.
CO poisoning or toxicity is a life-threatening emergency that requires immediate action. The following is a list of things that should be done if CO poisoning is suspected. Proceed with caution. The victim may be in an area of high CO concentration, which means you or others could in danger from exposure to CO.
• Evaluate the situation and ventilate the area if possible. • Evacuate the area and move affected person(s) to a fresh air environment. • Administer oxygen, if available. • Contact medical help. If the victim is not breathing, perform rescue breathing or approved cardiopulmonary resuscitation (CPR), as appropriate, until medical help arrives. Prompt action can mean the difference between life and death. • Shut off potential sources of CO, if possible. Correct ventilation problems and/or repair exhaust problems as appropriate. Investigate the source of CO and take corrective action, such as evacuating and ventilating the area or shutting off the source of the CO, while at the same time evacuating and ventilating the area.